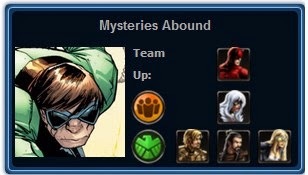 Marvel Avengers Alliance:How do I contact Playdom Support? "Electro and Vulture search for Spider-Man, claiming that he is required to fuel a machine capable of preventing...wait, fuel? No thanks." "Spiders from other dimensions are appearing all over the city, while an Inheritor roams the streets, searching for Spider-Totems. Some days, you actually hope it's just a Mysterio-induced hallucination." "When faves with fighting a powerful, dimension-hopping Inheritor or a group of home-grown thugs, the choice is clear. 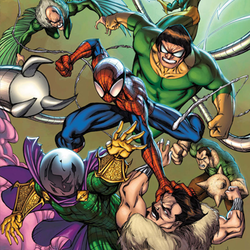 It's time to take the fight to the Sinister Six." "Asgard's most dangerous foes are on the warpath in Midgard. Thor has mysteriously disappeared, leaving a void amongst the Avengers that must be filled. Many have asked, "Who is worthy of such a great challenge?" Beta Ray Bill has arrived to push back these ancient forces and help discover what end his Oath-Brother has met." "In the wake of Thor's disappearance, S.H.I.E.L.D. looks to strange and unlikely allies to handle the growing threats"
"Battling Iso-Saurs and Dark Elves in this heat? S.H.I.E.L.D. wishes for a cool reprieve...and gets it." "The dead and defeated come back to life at the beck and call of a power hungry coalition. How can you stop that which cannot grow weary or feel pain?" "The Eclipse may be more than just a rare celestial occurrence. Hit the strees to give Dr. Strange the time he needs to investigate the mystery"
"Split your resources to combat the Demon threat in New York and the Vampire menaces in London." "Even the best laid plans never seem to survive contact with the enemy. Especially when the ring leaders of this accord are Dracula and Mephisto." "Dr. Strange has all he needs to stop the eclipse and restore order to the planet. With the true intentions of this dark alliance finally revealed. S.H.I.E.L.D. is in for a climactic final battle." Welcome to the Season 2 - Chapter X Guide! This thread contains all the information you need to know about Season 2 - Chapter 7 - Crest of the Wave! The deep breath before the plunge, the world will never be the same as new forces are revealed and old ones change for good. Mission 1 - Black Queen, Black Knight? A little piece of Britain comes to San Francisco, too bad it's only the worst parts of Blighty. 1 Battle: Any Hero - Can we get a hero out to sweep for Circle of 8 ritual massacre theaters? Now that we suspect those are related to the Worthy hammers, we need to get after them more actively. 1 Battle: Any Hero - Bullseye was first spotted in this building, but he's not here anymore. Send a hero to sweep the site and see what he might have left behind. 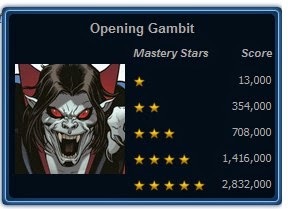 1 Battle: Any Hero - We need to add some assets to Magik's sweep for Sentinels. We know Bastion's on the loose, and he loves to make statements in San Francisco. 3 Battles: Emma Frost - Selene is a high-ranking Hellfire Club member. There might be others around. Send Emma Frost to take a look around and put her telepathic powers to work. 3 Battles: Gamora - A detachment of San Francisco police appears to have fallen under Selene's sway. We need them controlled, but we can't just take them out permanently. Send Gamora to take decisive action. Magik & Omega Sentinel - Bastion emerges to spread his intolerance in San Francisco. A dose of magic and technology should clear that right up. Nautical mysteries continue to pile up, and the Maggia keep on the move, how could the two be linked? 1 Battle: Any Hero - Every time Daredevil gets involved in one of the Kingpin's projects, some Hell's Kitchen lowlife goes after his friends. Send a hero to keep an eye on Foggy Nelson. 1 Battle: Any Hero - Doc Ock's involved here. He's not usually the Maggia type. That suggests he has his own game. He had a base hidden in the USS Intrepid for a while. Send a hero to make sure he's not trying to rebuild it. 2 Battles: Hogun - Hogun's been hunting the Circle of 8. He's found a big group of them down in the Financial District. Better send him in to break up whatever they're doing. The body count is high enough. 3 Battles: Fandral - We've got a dashing Asgardian in need of something to do. Maybe he can take a rune stone from the Natural History Museum to Asgard and see what Odin might have to say about it. 3 Battles: Mockingbird - We've got a little infiltration job that has Mockingbird's name written all over it. Briefing shortly. Black Cat - Hammerhead is back on the scene, trying to angle for a piece of the Maggia for himself. Unfortunately, his luck is about to change. Things get wild as key players make their way to the Savage Lands. What could this mean for the forces of S.H.I.E.L.D.? 1 Battle: Any Hero - The Circle of 8 have claimed another victim back in New York. We've got to get someone on the scene to make an ID. 1 Battle: Any Hero - The Asgardian... well, Svartalfheimain... presence here is a real worry. Send a hero to search the area for more Dark Elves. Terminate any you find. 1 Battle: Any Hero - There are too many Iso-Saurs. We're working on a way to purge them of Iso-8 infusion and make then more Hauk'ka again. Send a hero to bring some specimens to Beast's lab on Utopia. 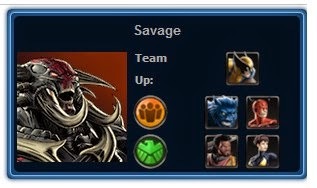 3 Battles: Bishop - After everything that's happened recently in the Savage Land, we're going to place a premium on intel. Send Bishop to check out Sauron's eyrie. 3 Battles: Wasp - Wasp is charming, well-spoken, highly social... and therefore perfect to make the rounds with some of the locals on S.H.I.E.L.D. 's behalf. 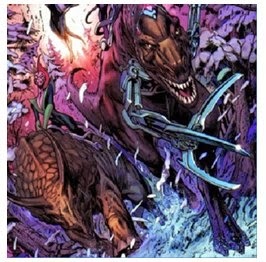 Beast & Hank Pym - Hank Pym and Beast discover rare Iso-Saurs and move in for further analysis. Before they can poke and prod, they'll need to contend with reinforced claws and lasers. No longer able to tolerate opposing agendas, internal stresses fracture HYDRA. Who will be victorious? 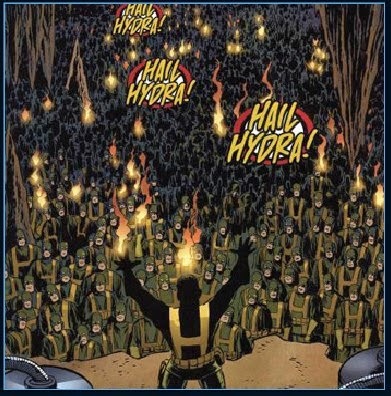 1 Battle: Any Hero - HYDRA forces have encircled a S.H.I.E.L.D. forward operating base supporting the Wakandan military. Send a hero to help them break the blockade. 1 Battle: Any Hero - The Red Ghost has been killed by the Circle of 8 in London. Send a hero to oversee the recovery of the body and analysis of the scene. 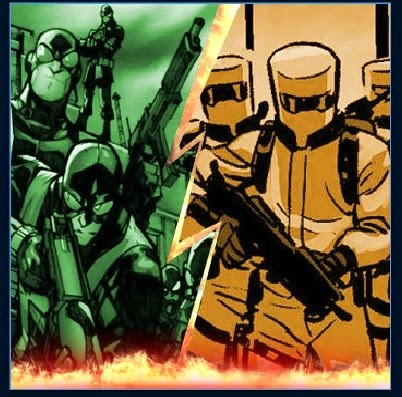 2 Battles: Any Hero - A lot of new HYDRA tech is turning up in their bases. Some of it might be from Incursion Earths. Send samples to Reed Richards so he can analyze them. 3 Battles: Red Hulk - White Gorillas are all over our operational area compromising our HYDRA response. Red Hulk might be the right guy to get a message across in a way they'll understand. 3 Battles: Thundra - Thundra has been hunting stray HYDRA soldiers who escape our sweeps. Now several of them have barricaded themselves in a cave. She's awaiting the go-ahead to clear them out. Heimdall & Valkyrie - Malekith and Kurse take Heimdall and Valkyrie for a wild ride. The fate and loyalty of HYDRA is decided. Can Captain America resist taking to the field with so many HYDRA agents around? 1 Battle: Any Hero - With the HYDRA situation getting worse, we need to keep a sharp eye on the White Gorillas. Man-Ape will be looking for chances to take advantage of our HYDRA focus. Send a hero to patrol and report if the White Gorillas show themselves. 1 Battle: Any Hero - Wakandan investigative agents have uncovered a vibranium smuggling ring. We're going to send along some fire support to help them break it up. 1 Battle: Any Hero - The villain known as Sumo has been found murdered in Queens. Send a hero to confirm whether this was a Circle of 8 ritual killing. 3 Battles: Domino - We need to be on the lookout for the Viper. Send Domino out with this new sensor that will detect the chemical signatures of her poisons. 3 Battles: Shatterstar - Shatterstar has run into what looks like a testing lab where the White Gorillas are infused with an Iso-8 serum. It's a freak show. Doctor Voodoo - These White Gorillas are showing signs of possession by evil spirits. Who you gonna call? Doctor Voodoo. An unlikely alliance between East and West predicates fresh waves of anxiety for S.H.I.E.L.D.. What else could go wrong? 1 Battle: Any Hero - Send a hero to keep an eye on the docks. We've got unconfirmed intel that the Hand might be working with the Circle of 8 in that area. Might be nothing, but it's better to be sure. 1 Battle: Any Hero - This is... highly unusual, but a group of non-Maggia organized crime families are requesting a meeting with S.H.I.E.L.D.. Send a hero to see if they're serious. 3 Battles: Agent Venom - This is a mission for Flash Thompson. We need one Hand ninja for interrogation. They don't often allow themselves to be taken alive, but maybe a symbiote can get the drop on one. 3 Battles: Spiral - The Hand are sending a hit squad to take out the Kingpin. We need to intercept it. Send Spiral to get it done. 3 Battles: X-23 - A Hand-Maggia alliance is bad enough, but now members of both organizations are heading to meet Circle of 8 cultists. This is a bridge too far. Send X-23 to cancel that meeting. Black Knight - Black Knight takes on the Black King. 1. Suspended Club: Defeat 3 Hellfire Club Soldiers. 2. Friends & Family: Use 3 Distress Calls. 3. Ritual Feeling: Defeat Selene. 3a. Knightly Duties: Use Black Knight in Combat. 3b. Blessing and a Curse: Use Black Knight's Cursed Blade 3 times. 3c. When World Collide: Survive an Incursion. 4. Put Out a Hit: Defeat 5 Maggia Hitmen. 5. See the World: Complete 3 Flight Deck Missions. 6. Doctor Doomsday: Defeat Dr. Octopus. 6a. Detective Work: Use Daredevil in Combat. 6b. Snap Judgement: Use Daredevil's Snap Kick 3 Times. 6c. Hero's Journey: Complete a Heroic Battle. 7. Who Gave Them Lasers? : Defeat 4 Alpha Predators. 8. Moneybags: Earn 3000 Silver. 9. Kurse Removal: Defeat Kurse. 9a. Run with Logan: Use Wolverine in Combat. 9b. Feral Frenzy: Use Wolverine's Berserker Frenzy 2 Times. 9c. 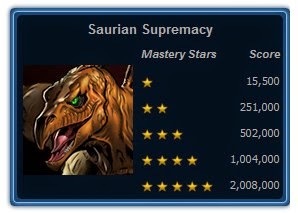 Only the Smartest: Defeat Iso-Saurs with a Score over 20000. 10. Halting HYDRA: Defeat 12 HYDRA Soldiers. 11. 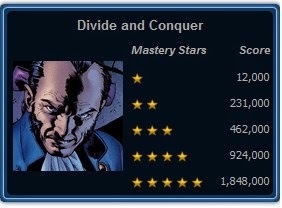 Divide and Conquer: Complete 3 Deploys. 12. Green with Envy: Defeat Viper. 12a. Along Came a Spider: Use Spider-Woman in Combat. 12b. Silent Seduction: Use Spider-Woman's Seduction Pheromones 3 Times. 12c. Military Grade: Defeat Viper with a Score over 40000. 13. Lest Ye Be Judged: Defeat 5 HYDRA Judicators. 14. Versus: Complete 3 PVP Battles. 15. Skullduggery: Defeat Red Skull. 15a. 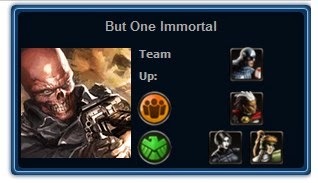 The Living Legend: Use Captain America in Combat. 15b. Go Deep: Use Captain America's Shield Throw 5 Times. 15c. Patriot Game: Defeat Red Skull with a Score over 90000. 16. Squirrelly Guys: Defeat 6 Maggia Assassins. 17. Victory: Win 3 PVP Battles. 18. Grim Tidings: Defeat Grim Reaper. 18a. Leading Man: Use Wonder Man in 2 Battles. 18b. Showstopper: Use Wonder Man's Hollywood Hammer 3 Times. 18c. A Worthy Challenge: Defeat Skadi with a Score over 82000. 1. 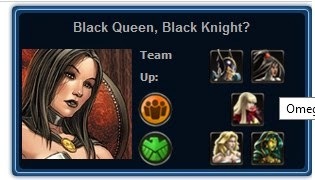 Challenge: Black Queen, Black Knight? : Complete "Black Queen, Black Knight?" on Challenge Mode. 2. Challenge: Mysteries Abound: Complete "Mysteries Abound" on Challenge Mode. 3. Challenge: Savage: Complete "Savage" on Challenge Mode. 4. 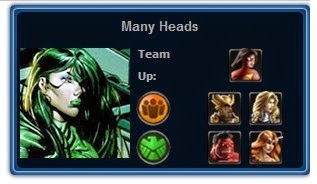 Challenge: Many Heads: Complete "Many Heads" on Challenge Mode. 5. Challenge: But One Immortal: Complete "But One Immortal" on Challenge Mode. 6. 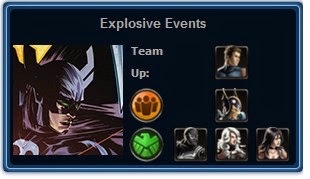 Challenge: Explosive Events: Complete "Explosive Events" on Challenge Mode. "Home to untold wonders, S.H.I.E.L.D. must move quickly to help protect the Savage Land from the predations of scientists gone mad, internal power struggles, and the threat of Iso-8. 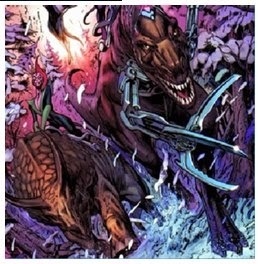 Defining the age old adage of evolve or die, the High Evolutionary has made the Savage Land his personal playground." "Lizard kings and super science create a deadly combination for the Savage Land's native inhabitants." 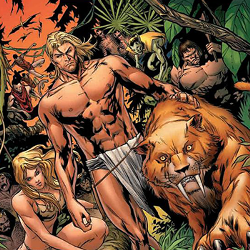 "The struggle for supremacy in the Savage Land has made for some strange bedfellows. Trace the lines back to the ring leaders"
"As if coping with mutated natives, Incursions, and genetic manipulators wasn't enough, the Savage Land now faces a renewed A.I.M"
1. Ready, ..., Fire! : Defeat 8 A.I.M. Soldiers. 2. Back Backup: Collect 3 Distress Calls. 3. Fashion Statement: Beat M.O.D.O.K. 3a. Logical: Use Vision in Combat. 3b. Solar Power: Use Vision's "Solar Jewel" in Combat. 3c. Mirror World: Survive an Incursion. 4. 8Cult: Defeat 7 Circle of 8 Cultists. 5. Special Ops: Complete 3 Deploys. 6. 88 MPH: Defeat Kang. 6a. Lunacy: Use Moon Knight in Combat. 6b. 10 Frantic Fists: Use Moon Knight's "Fists of Khonshu", with 10 Retribution, 2 Times. 6c. Heroism: Complete a Heroic Battle. 7. Privileged Combatants: Defeat 8 Hellfire Club Members. 8. Incured Wrath: Complete an Incursion. 9. Target Practice Defeat Dark Hawkeye. 9a. 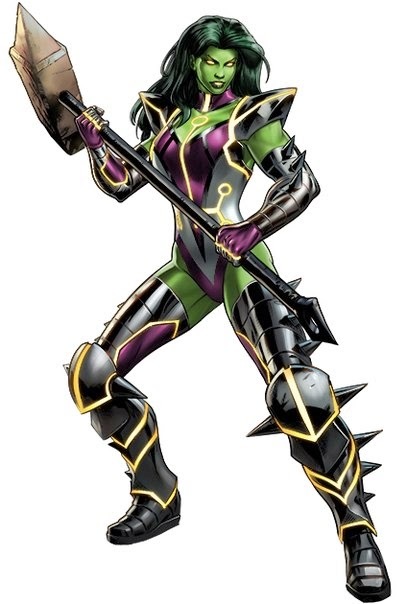 Bipolar: Defeat Green Goblin. 9b. Fancy Pants: Use Iron Fist in Combat. 9c. Untapped Potential: Use Iron Fist's "The Iron Fist" 3 Times without using Hidden Potential. 9d. Dead-Eye: Defeat Dark Hawkeye with a Score over 50,000. 10. Demons! : Defeat 6 Demons. 11. Combat Training: Fight 3 PVP Battles. 12. Rules Lawyer: Defeat Mephisto. 12a. Chain-tastic: Use Ghost Rider in Combat. 12b. Terrifying Gaze: Use Ghost Rider's "Penance Stare" 3 Times. 12c. 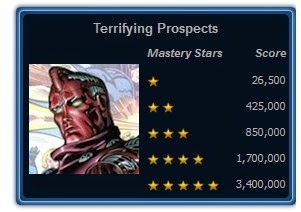 Cold to the Touch: Defeat Mephisto with a Score over 60000. 13. Brain Dead: Defeat 7 Mindless Ones. 14. Rather Be Sailing: Complete 3 Flight Deck Missions. 15. Flaming Madness: Defeat Dormammu. 15a. Witch Doctor: Use Doctor Voodoo in Combat. 15b. In a Bind: Use Doctor Voodoo's "Evanodor Compatriot Boost Spell" 2 Times. 15c. Order From Chaos: Defeat Dormammu with a Score over 75,000. 16. Crime Don't Pay: Defeat 5 Maggia members. 17. Go, Fight, Win! : Win 3 PVP Battles. 18. Split Personality: Defeat Lizard. 18a. I Love Quests! : Use Deadpool in Combat. 18b. Because I Am: Use Deadpool's "Happy to See You" two times. 18c. Chill Out Man! : Defeat Savin with a Score over 36,000. 1. Challenge: Unknown Intel: Complete "Unknown Intel" on Challenge Mode. 2. Challenge: Ancient Knight: Complete "Ancient Knight" on Challenge Mode. 3. Challenge: Dark Complications: Complete "Dark Complications" on Challenge Mode. 4. Challenge: Harvester of Souls: Complete "Harvester of Souls" on Challenge Mode. 5. 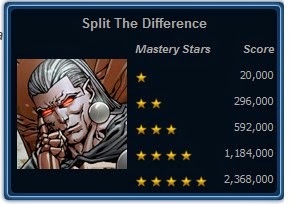 Challenge: Clash of Titans: Complete "Clash of Titans" on Challenge Mode. 6. Challenge: Fourth Wall: Complete "Fourth Wall" on Challenge Mode. The old lines of loyalty between A.I.M. and HYDRA are eroding. Ancient Demonic forces begin sensing that the time has come to exploit the opportunity that the chaos has created. M.O.D.O.K. claims he has intelligence on the Circle of 8's purpose. Could there be a move by HYDRA to reabsorb A.I.M.? 1 Battle: Any Hero - Keep pushing people away from the center of Chinatown. M.O.D.O.K. is active here, and he won't care about mass casualties. 1 Battle: Rescue - There are too many people getting close to the hammerfall site. We need someone there to protect it until a full S.H.I.E.L.D. team can cordon it off. Rescue's probably perfect for this. 1 Battle: War Machine - AIM and Circle of 8 forces are gearing up for a fight. War Machine is patrolling nearby. He can pacify both sides. 2 Battles: Any Infiltrator - Circle of 8 forces are up to something at this location. Send a hero to crash their party before there's another ritual sacrifice. 3 Battles: Any Blaster - We're in a crowded area with narrow streets, lousy sightlines, and M.O.D.O.K. on the loose. Get a hero to coordinate evacuations along Canal Street. Let's get people out of harm's way. 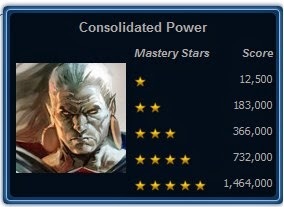 W1: Skirn | W2: Specialist, Administrator | W3: M.O.D.O.K. Ancient feuds come to light with the machinations of the Circle of 8. 1 Battle: Any Hero - The Circle of 8 presence and other supernatural activities are bringing the crazies out. Send a hero to help public-safety personnel keep the local kooks at a safe distance. 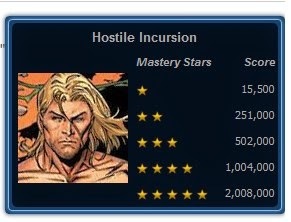 1 Battle: Any Tactician - The museum's owners are demanding that S.H.I.E.L.D. pick up the tab for any damage. Send someone big and menacing to remind them who the good guys are. 2 Battles: Any Bruiser - We've got some skulking to do. Send a hero to follow this Circle of 8 cultist. She's headed to a rendezvous and we'd love to know who else is going to be there. 2 Battles: Dr. Strange - We're going to borrow Dr. Strange's occult expertise for an examination of some relics recovered from the museum collections. Doctor? 2 Battles: Iron Man - All kinds of weird magical emanations are coming from the area around the museum. Get Iron Man take a look, his suit shouldn't be affected. Iron Fist hits the ground running, wanting to take the fight to the Hellfire Club. But complications arise... is that the Dark Avengers? 1 Battle: Black Knight - Black Knight has found a Hellfire Club meeting. He's waiting for the all-clear to break it up. 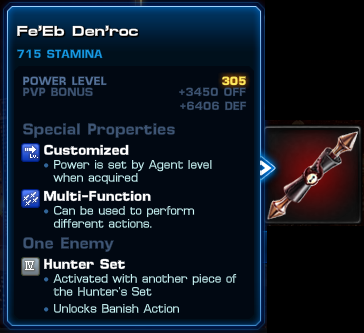 2 Battles: Any Blaster - A Hellfire Club detachment broke away from a S.H.I.E.L.D. fire team and is on the run. Get a hero after them before they get loose in the city. 2 Battles: Fantomex - The Hellfire Club has left us a little present: A bomb, protected by some serious cybersecurity. If ever there was a job for a guy with two brains, it's this one. Call Fantomex. 3 Battles: Any Infiltrator - This abandoned Hellfire Club safe house is full of potential intel, but it's also booby-trapped. Send a hero who can slip through the defensive measures and recover the materials. 3 Battles: Captain Britain - Captain Britain's itching to get after the Hellfire Club. We're happy to scratch that itch. 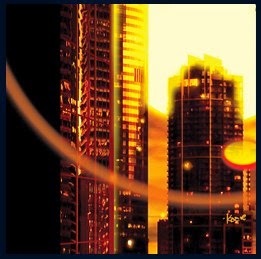 Mephisto, sensing the time is right, makes a play for New York. Those souls won't harvest themselves, after all. Enter Ghost Rider. 1 Battle: Doctor Voodoo - Before we can mount a full response to this phase of the demon invasion, we could use a little intel from the afterlife. Doctor Voodoo can maybe have a chat with some of his favorite loas to get us the lowdown. 1 Battle: Sif - Now that we know there's an Asgardian angle to these hammers, we better find out what else is going on in the Nine Realms. Send Sif to search for any other signs of Asgardian influence. 2 Battles: Any Blaster - Demons have pinned down a team of emergency responders trying to help people wounded near this portal. They need some firepower, and quick. 2 Battles: Any Tactician - Stop this group of demons from getting across the river into Manhattan. Doesn't matter how you do it, as long as it's done fast. 3 Battles: Any Hero - We need to get data about meteor impacts to Avengers Tower for analysis, to see if we can pinpoint any other hammerfalls. It's too important to email. Send a hero to take it there personally. New York becomes a true battlefield as Blackheart enlists Dormammu's aid. S.H.I.E.L.D. calls on Doctor Voodoo, who steps in to quell the Demonic and Mindless forces. 2 Battles: Any Infiltrator - There's a demon loose in this building, heading for a yoga studio. Hunt it down before everyone's in Corpse Pose. 2 Battles: Scarlet Witch - We're mobilizing all magical assets. The Scarlet Witch's chaos magic will help to disrupt portals and slow down the demonic invasion. 2 Battles: Magik - Various demonic factions have already appeared, in the Bronx and now Greenwich Village. Are there others waiting for their chance? Send Magik to find out. 3 Battles: Any Hero - We've got the upper hand. Send a hero to do a perimeter sweep and make sure that all field teams are intact and no demons have gotten out of the area. 3 Battles: Any Bruiser - Circle of 8 members just killed a demon here. They're taking it somewhere, for God only knows what purpose. Stop them. The Maggia, A.I.M., and HYDRA. OH MY! But wait, who's this? Looks like you'll have to play to find out! This looks like a job for Deadpool! I guess I better get in there and break some walls, or is that heads...? To find some answers. 1 Battle: Any Generalist - The Kingpin is sending a goon squad to threaten Daredevil's pal Foggy Nelson. Cut them off before they capture Foggy. We can't lose Daredevil to a rescue mission. We need him with us. 2 Battles: Any Scrapper - This Maggia courier has orders to start a jailbreak at Ryker's. Intercept him. 2 Battles: Punisher - The Punisher's getting antsy with all these criminals showing themselves. Distract him with a mission that will make him feel useful. 3 Battles: Ares - If you're in the middle of a gang war, sometimes you need to take the direct approach to end it. Nobody's more direct than Ares. 3 Battles: Black Widow - Send Black Widow out on patrol to gather some intel. Epic Boss Drop: Laprov / Laprov! "With S.H.I.E.L.D. 's resources stretched thin, heroes begin taking it upon themselves to mete out justice. Meanwhile Wakanda is reeling as the White Gorillas gain strength thanks to the continued backing of HYDRA." "Kang has come all this way for some Iso-8 and some conquering, and he's damn well going to get some. Also, he hints that he wants to get what he can before all things end...Whiplash and the Crimson Dynamo have jumped onto the Kang-wagon for the promise of new tech. " "Ares has a grudge against the Taskmaster and follows him to Wakanda, where he uncovers what looks like a plot to pave the way for a HYDRA takeover of Wakanda." "Circle of 8 in Central Park. Squirrel Girl unleashes her sciuridaean hordes! ... and catches Bullseye and the Hood monitoring what the Circle of 8 cultists are doing. C8 calls for a one-on-one match with Captain America. Cap wants to do it, but Fury says no." "Emma Frost starts a concerted effort to clear the bad guys out of the Hellfire Club." "Ragnarok thinks he's Thor because the Enchantress has beguiled him. Calling himself Thor, he leads a Jotun force against Utopia with some Test Subjects along for the ride, stirring up anti-mutant sentiment. The real Thor shows up to put things right." "Ares went after a problem in Wakanda. Now Herc wants to, because he's feeling one-upped. Good thing Wakanda's got all kinds of problems with Man-Ape, HYDRA, and White Gorillas running amok."